Need a fast growing hardy shrub for a quick evergreen hedge or privacy screen? 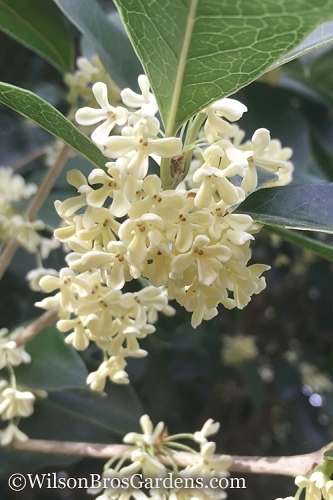 Meet Fruitland Elaeagnus, also commonly called Silverthorn or Silverberry, a very fast growing, big and beautiful broad-leafed evergreen shrub featuring silvery green foliage. The inconspicuous flowers produce a delightfully appealing sweet fragrance, reminiscent of gardenia. Get all the details below! Note: For our customers who live and garden north of USDA Plant Hardiness Zone 6a, where this Elaeagnus variety is not reliably winter hardy, you'll be happy to know it can be grown in containers that can be brought indoors during winter and placed back outside when temperatures warm up in spring. 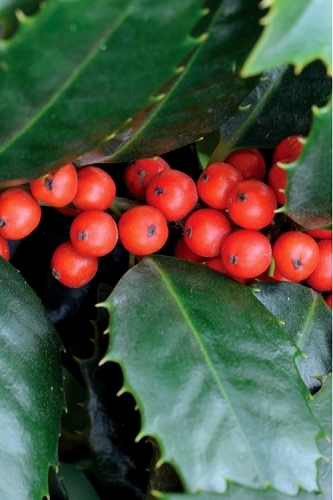 Need a fast growing hardy shrub for a quick evergreen hedge or privacy screen? 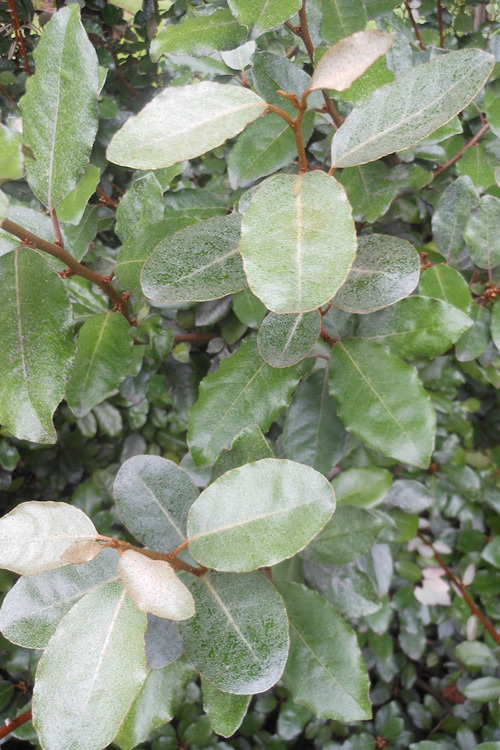 Meet Fruitland Elaeagnus, also commonly called Silverthorn or Silverberry, a very fast growing, big and beautiful broad-leafed evergreen shrub featuring silvery green foliage. The inconspicuous flowers produce a delightfully appealing sweet fragrance, reminiscent of gardenia, that will grab your attention from hundreds of yards away. Small reddish-brown berries follow the flowers and are a favorite treat for birds. Note: This plant has no thorns. Growing 6 to 15 feet tall and wide (depending on pruning), Fruitland Elaeagnus is ideal for use to quickly form a natural or clipped formal hedge or privacy screen. grows well in part shade so is nice for a natural hedge in partially shaded to sunny woodland borders. 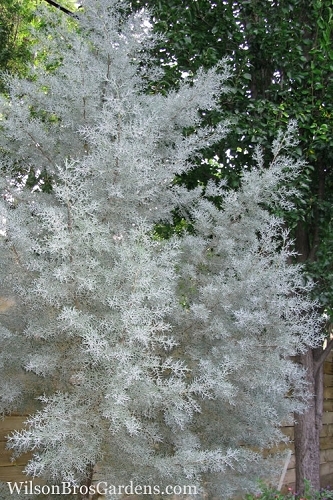 Elaeagnus is a fine addition to bird and wildlife gardens, formal gardens, and grey or silver theme gardens. Elaeagnus is very easy to grow in most any moist but well-drained soil of average to low fertility and full sun to part shade. 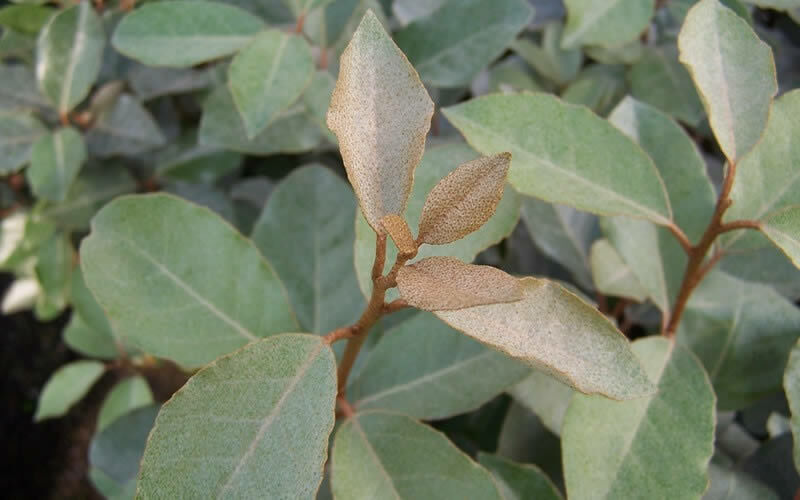 When established, Elaeagnus is very drought tolerant. Foliage is more dense with more sun. No pruning necessary unless a clipped hedge is desired. 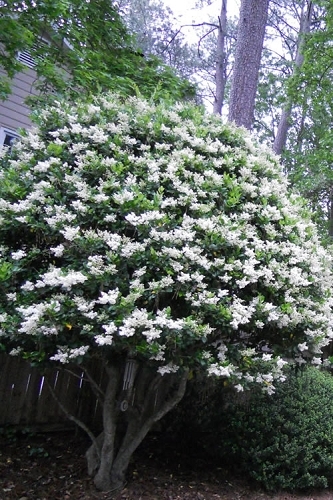 Click on the link below to find helpful advice from our experts on how to plant, prune, fertilize and water Elaeagnus shrubs. Maintenance / Care: Low when left to grow naturally. The Elaeagnus 'Silverthorn' I received was in great shape and seems very vigorous. Its foliage is about three times taller than the 3-gallon pot, so I'm anxious to get it into the ground as soon as our weather is safe for a new transplant. The silvery undersides of the leaves is a real eye-catcher, brightening up a room when the lights are off! I'm very pleased with Wilson Bros. professionalism and FREE shipping; and now consider them to be my go-to nursery for all my plant needs. ------------------ WBG Reply: Hi Holly - Thanks for providing your review and sharing your experience with us and future visitors to WilsonBrosGardens.com. We certainly appreciate the compliments! Let us know if there's anything else we can help you with. We're at your service! - Brent |Wilson Bros Gardens. 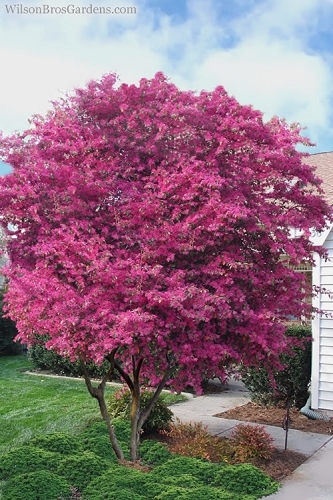 I placed my order for 4 Eleagnus 1 gallon with Spencer. He was courteous and knowledgeable!!! The plants arrived within the timeframe Spencer indicated. The plants were wrapped carefully and were all very healthy. I appreciate the great customer service! I plan to tell my friends and I will definitely order again. Q: Is the Fruitlan Eleagnus the one that spreads all over the place and sends out huge long bare stems or is this one more well-behaved? Q: Is Elaeagnus silverberry deer proof? 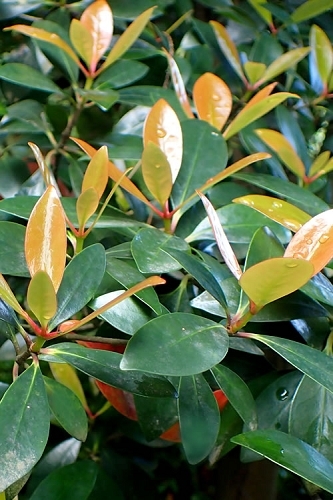 I have several varieties of Elaeagnus (silverberry) growing in my gardens here in north-central Georgia. There are deer living on the property and they've never touched the Elaeagnus, even during prolonged periods of drought. Q: I'm looking for a fast growing evergreen shrub that Deer do not like. Will this work? I'm located North of Montgomery, AL. Yes that is right. Deer do not like to eat the Fruitlandi Elaegnus and it is one of the fastest growing shrubs that there is. It is also evergreen In Montgomery Al so it should work out great for you. 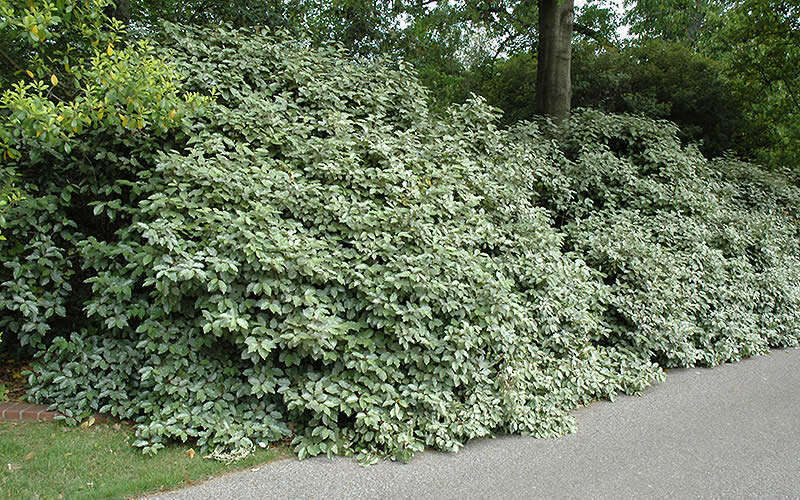 Click on the link below to find helpful advice from our experts on how to plant and care for Elaeagnus shrubs.